Don’t hate me. I know the fall release schedule is already making our wallets cringe in fear, but there is still another game that is seriously deserving of your time and attention. 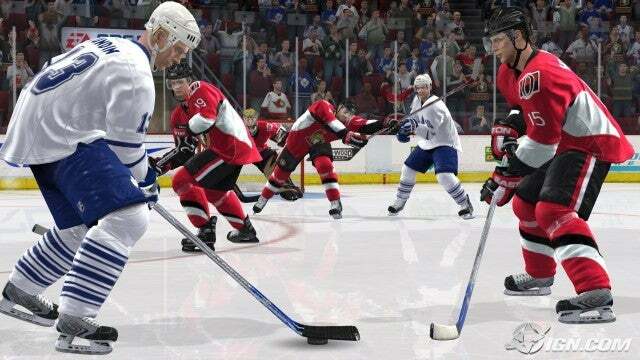 It is none other than Electronic Arts’ NHL 09. You may be thinking, “What’s a sports game doing in my Destructoid?” Or more accurately, “What’s a Canadian sports game doing in my Destructoid?” Well the main reason is that NHL 09 is a really great game. The developers took everything from last year’s wonderful version and built on to it. This article here will be my impressions I’ve had so far with the PS3 version. They will be limited, in that I haven’t had a whole lot of time with the game since my PS3 is back home while I’m at school (I live like an hour away and I go home some weekends). But I still feel like I’ve had enough hands-on time with the game to provide an informative opinion on it. To begin, there have been several additions to the core gameplay from last year’s edition. On defense, players now have a lift stick option to, you guessed it, lift the stick of their opponent to either steal the puck or prevent a completed pass. It comes in handy a lot throughout games but you’ll definitely have to watch out for the high-sticking penalties that will come as a result of missed attempts. On offense, players now have the ability to hold off defenders with one hand while carrying the puck with the other, as well as a slight increased move-set for dekes. Flip dumps are also a new tool to your arsenal if you know how to use them correctly in a dump-and-chase strategy. And landing a crushing check is still as satisfying as ever. The main draw for NHL 09 is the new Be a Pro Mode. In this mode you can create your own player who will work his way up the hockey food chain from the 3rd line of an AHL team to a star player in the NHL. The hook here is that you play solely as your created player. So first up in this mode is creating your future Hall of Famer. 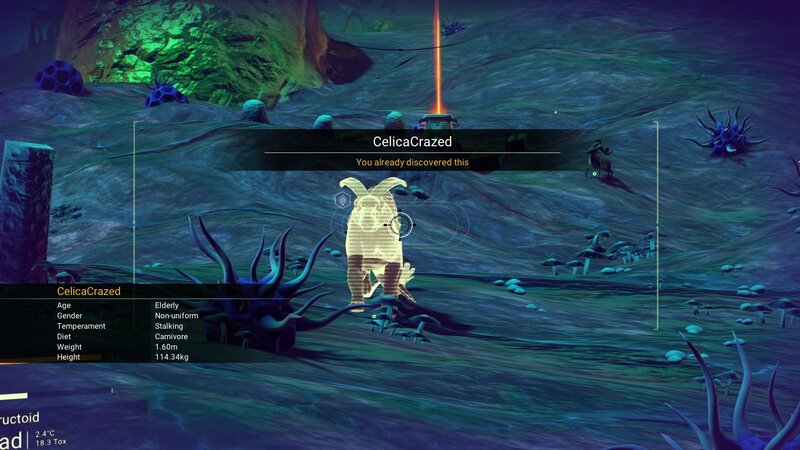 I found the player creation system to be somewhat limiting. But in its defense, it’s a hockey game and not the Sims. After you get the look of your player to something you can tolerate, you will then pick the position your player will play, their style and afterwards their equipment. Since I was planning on joining the Toronto Maple Leafs organization, I decided to become a centreman due to the inevitable loss of our captain, Mats Sundin. Your player type determines how the majority of your attribute points are spent. I went with a sniper, someone who can score and has the speed to make up for his lack of D. Finally you choose your equipment. While it generally all comes down to aesthetics, some choices do affect your player such as stick flexibility and curve. I’m not sure if the visor really makes a difference but I decided I didn’t want to find out. After the creation of your player, you will be given a set of goals to accomplish (make certain number of shots, score certain number of goals…etc.) and finally get to play the game. Right off the bat (stick?) the presentation pulls you in. Standing in the hallway leading to the ice, you see the players lining up and getting ready for what’s to come. You can hear the fans cheering with the music thumping, all muffled, until you enter the arena where it all becomes loud and clear. As your player skates around the ice, the hairs on the back of your neck will stand on ends for how well the game actually draws you in. And now the puck is about to drop. There are 3 ways you can play BAP: Authentic, Position Lock and No Line Changes. Authentic mode is the most accurate form of the game where you take your shift then get on the bench. That’s right! You can actually watch the game from the bench while your player recovers. There are both pros and cons to this. The cool thing is that it really does give you a sense that you are just another player on the team. Also, some games you just might not be having any luck on the ice creating goals, which hopefully the computer AI will help out with when you’re on the bench. But the bad part of this mode is that you are sitting…on…the…bench. I tend to play games to…uh, play them. Not watch myself sit. The main problem I find with it is that you seem to be sitting more than playing. If you get put in the box for fighting, expect to be sitting for over half a period because there’s no such thing as stoppage of play when you’re not on the ice, or so it would seem. And while it does make you sit a lot, you can manually change lines on your own. Actually, you can change your offensive and defensive lines separately which I find is a great addition. But watch out! Bad line changes will burn you fairly often. The second mode mentioned, Position Lock, is similar to Authentic except that you control the other player that plays your position. This is nice since you’re always playing and it provides a realistic feel since line changes are still happening. There is a downside that I couldn’t stand though, which was the camera. In BAP, the camera is focused on your player but once your replacement hits the ice, the camera pulls out and looks down to the ice at more of an angle. It causes a bit of disconnect from how you play with the two players. The worst part is that you can’t adjust your replacement to have the same camera angle as with your created player. It’s just something I found annoying. Finally there is No Line Change, where it’s basically just your line out on the ice. This is the mode I stick with mostly but it does have some problems. One is that if you care about stats, all points will come from basically one line. Another is that you’ll always be going up against the other team’s top line, meaning that you better hope your teammates know a little D. You also no longer get any fast breaks when you catch the opposition making a bad line change. Regardless of how you play, you’ll quickly discover something very interesting about the game; it’s damn addictive! I’ve already had several “It’s already 4 am! ?” play sessions with the game. BAP mode is set up like an RPG where you collect experience points after each game. You get letter-scored in 3 categories: positioning, team play and stats. Positioning requires you to be in the right place on the ice, aided by a large blue arrow pointing you to where you should be. It can be kind of frustrating though when you’re defending and the arrow can’t decide where it wants to point you to. To get graded well in Team Play, you must play good defense, make clean passes and keep your teammates involved in the play. This I find to be the hardest score to keep up. Stats grades are determined by your point total, or in other words, goals and assists. At the end of the game, you will be given XP in each of the 3 categories and your coach will also give you his observations. They get repetitive very fast and sometimes conflict with each other which will just leave me scratching my head sometimes. The XP earned can only be spent in the category you earned them in too. A problem I had was trying to understand what each attribute was actually linked to. I couldn’t tell exactly how to improve my poke checking and strength on the puck. It comes down mostly to trial and error. You’ll also find that you won’t make nearly enough XP to gain skills quickly. This mode was clearly meant to be played over many seasons. Still, expect many “Just One More Game” situations occurring. Now seems to be a good time to state the things I have beef with. One is the camera for BAP. 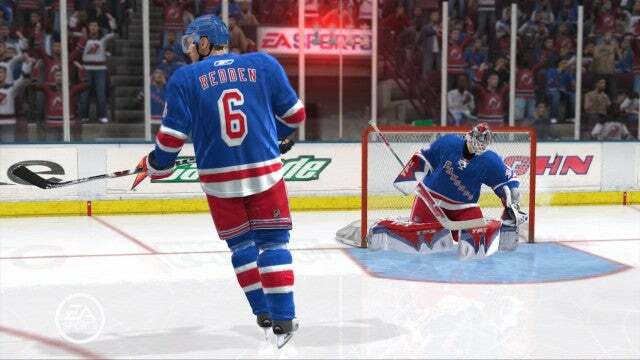 The camera in this mode is focused on your player, not on the puck. While it’s great for dekes and breakaways, it’s very restrictive in what it allows you to see. On defense, it causes problems when all the opposition on the ice are not visible. The guy you can’t see is also always the one who scores the one-timer slapshot. The camera also rears its ugly head when you’re bringing the puck up the wings. You can never see you teammate flying up the opposite end and it will cause more than a few off-side situations. But the camera is still worst when you have the puck in the scoring end. Ok, it’s not horrible because it does help in making smart passes. The problem is you can never see the defenders closing in off the blue line. It’s just too focused on the goal. Plus it spins around too fast distracting from what is actually occurring on the ice. I’d say it’s more of a love-it-or-hate-it feature. Another piece of beef I have is in how hard it can be to score. Ok, maybe this has more to do with me sucking, but it is still pretty difficult at times. The opposition’s defense is very stingy and requires very little to knock you off the puck. The fail-safe plan for me is to just carry the puck over the blue line and use their defense to screen the goalie. Sure it may be dirty using it every game but it is still oh-so satisfying watching the puck go top shelf. I also don’t know what was up with the goalie in the All-Star game. It was some little girl (actually!) that was stopping everything I had. I restarted the match 3 times and only scored once. That had me pretty pissed off and I decided to live with it in the end. It was still not as bad as when I lost to the Ottawa Senators (I snapped). The worst offender I’ve faced so far in NHL 09 though is still the load times between menu actions. Whether it was checking out the news the GM had for me or looking up at the standings, the game had a few seconds between actions. It wasn’t horrible but it was very annoying. It could have been from the auto-save feature but I’m not entirely positive. Now it’s time for the positives. The graphics are pretty good. There were more than a few instances where I couldn’t believe how life-like everything looked. Plus the fans are no longer cardboard cutouts! The animations in the game are top-notch. Everything is so fluid from the players’ strides, the dekes, the checks and even the whip in the sticks. The puck physics have also improved with the puck behaving like you would expect. A common characteristic of an EA sports game is a great soundtrack and this one is no different. While you can use your own custom tunes, I really don’t think you need it. A nice surprise for me personally was hearing a new Billy Talent song that I didn’t know existed. I already mentioned it before but the sound transition from the hallways into the stadium is well done as well. The commentary is pretty good too, while not repetitive in a match, you do hear the same things from game to game. 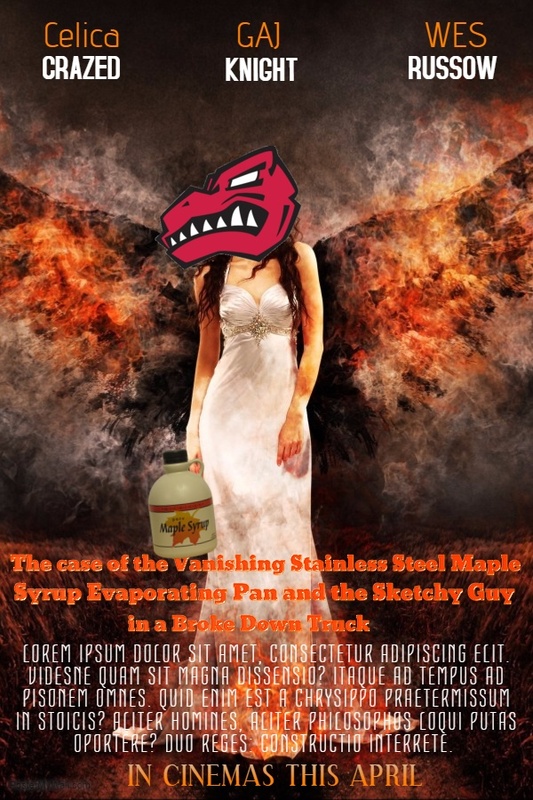 As a Leafs fan, I found it really impressive how they talked about the old Maple Leaf Gardens, our recent failu…uh, lack of success and even the “Muskoka Five”. It’s the small things that are well done. 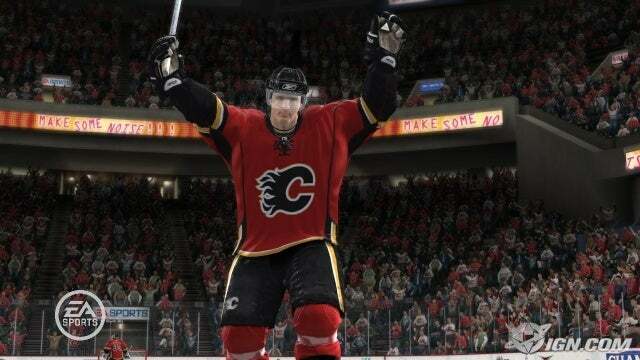 From what I’ve played so far, NHL 09 is more than worth the price of admission. I still haven’t even touched the EA Sports Hockey League, where you take your created player into an online BAP mode. With teams up to 50 players, it is being billed as the first true sports MMO where every position is played by a human-controlled player. There is also a Create-A-Play where you can create your own break out plays to use in games. There are also the usual Tournament and Season modes. Another feature I have not touched is the EA Media Hub where you can upload saved replays and photos from the game onto the internet for all to see. 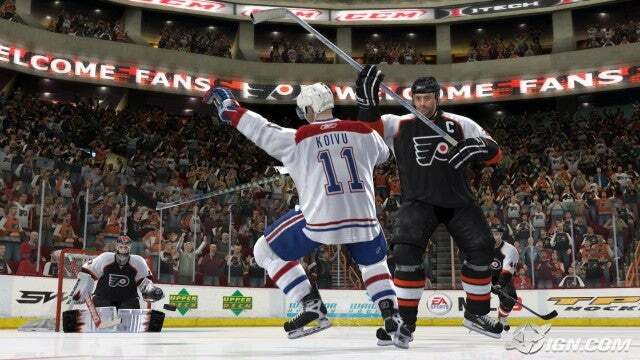 If you are unsure if you would like NHL 09, go and download the demo. 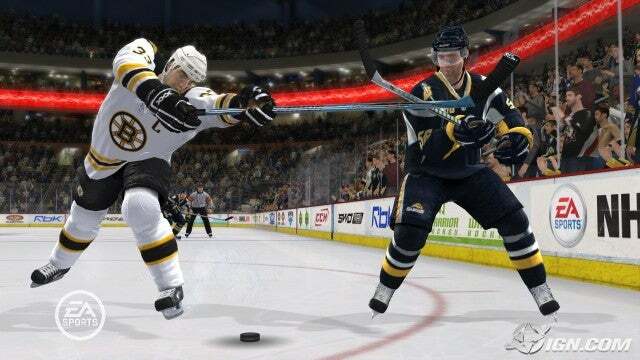 But I can assure you whether you are a hockey fan, sports fan or just a fan of great games in general, you will have a great time with EA’s NHL 09. 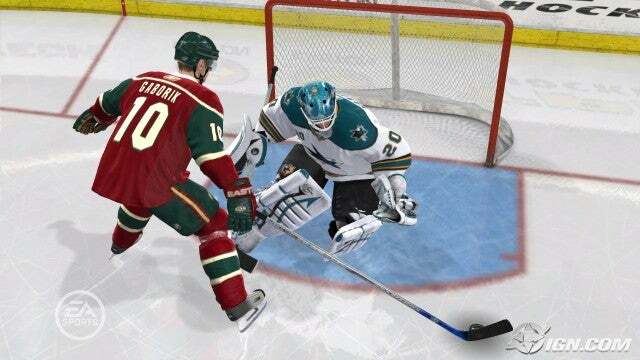 This game was meant to keep you occupied until the eventual release of NHL 2010. Until then, grab a few friends, a case of Molson and throw on some toques and enjoy this wonderful piece of software. Oh and Go! Leafs! Go! [all images are via IGN].